The Celtic by Olhausen Games is the same table made by Performance Games and marketed under the SureShot CS model. 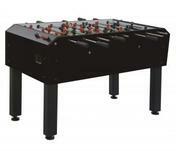 Towards the higher end of their different models, this is a great table that is made of solid construction. 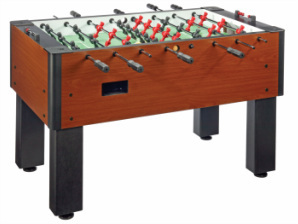 It is a 1 1/2 inch thick cabinet wall design with 3 man goalie, side ball returns, modern foosball men, and overall good appeal.